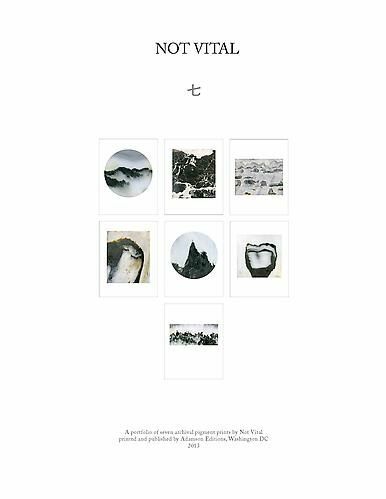 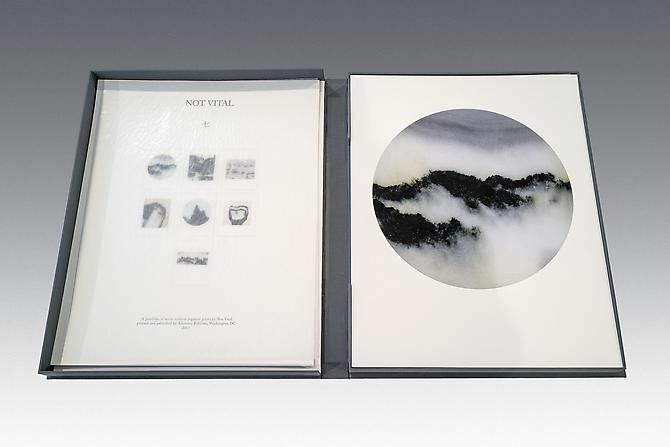 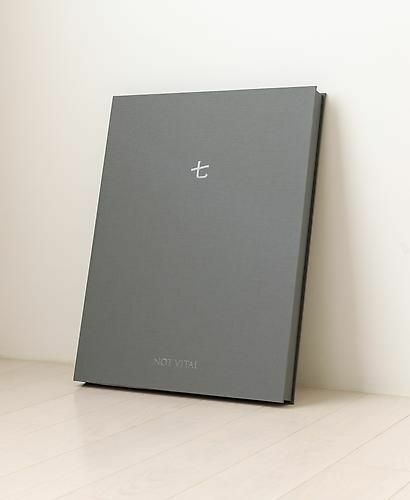 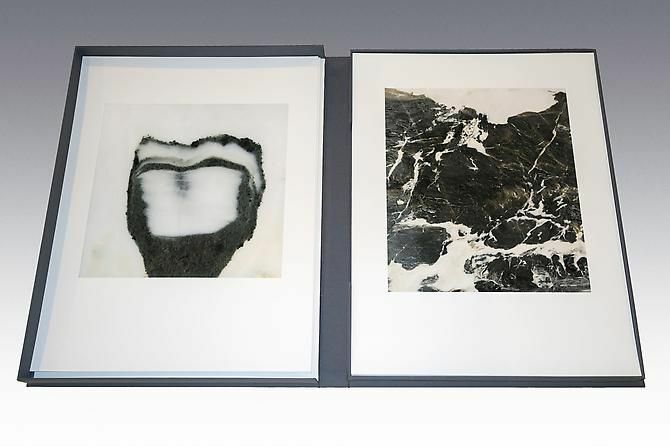 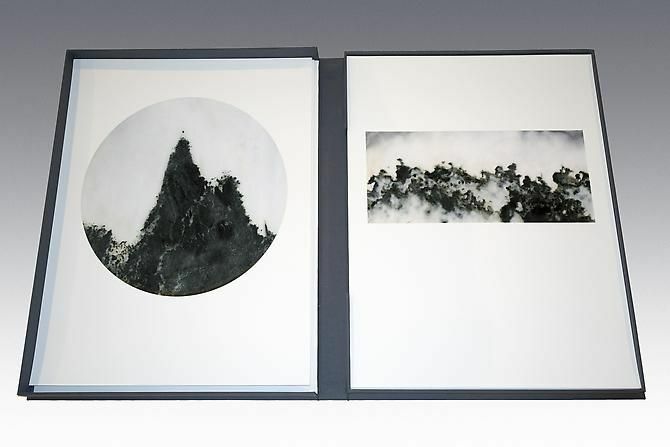 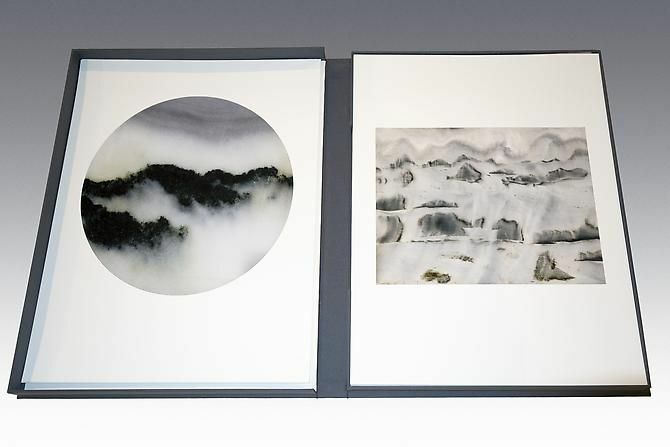 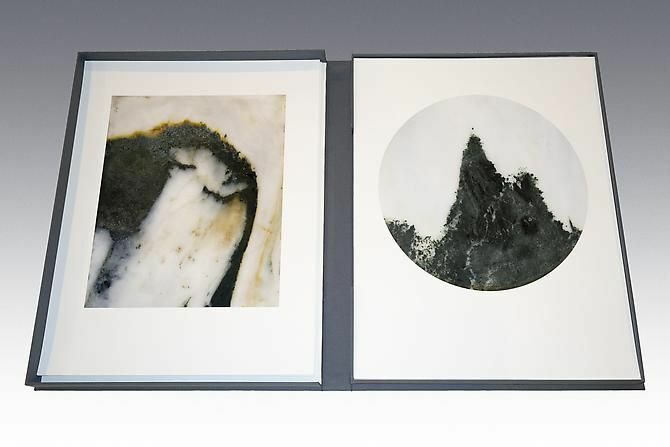 This limited edition portfolio titled 七 (the Chinese numerical symbol for seven), by Not Vital, contains seven archival pigment prints of Dali stone, a type of marble native to Southwest China. 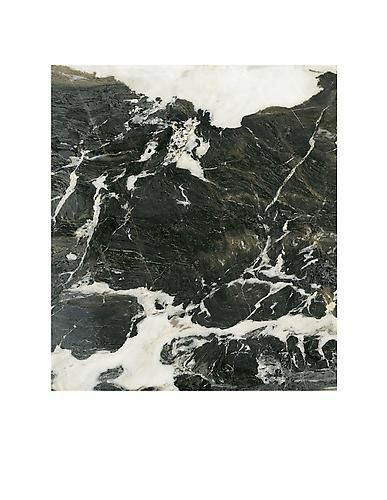 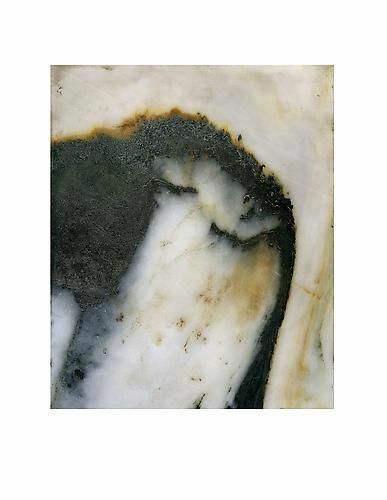 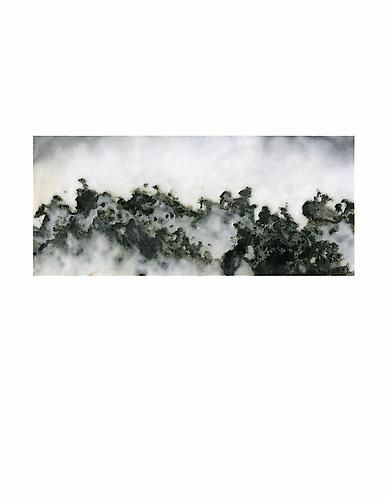 Dali marble is renowned for its picturesque surface quality, reminiscent of landscape paintings. 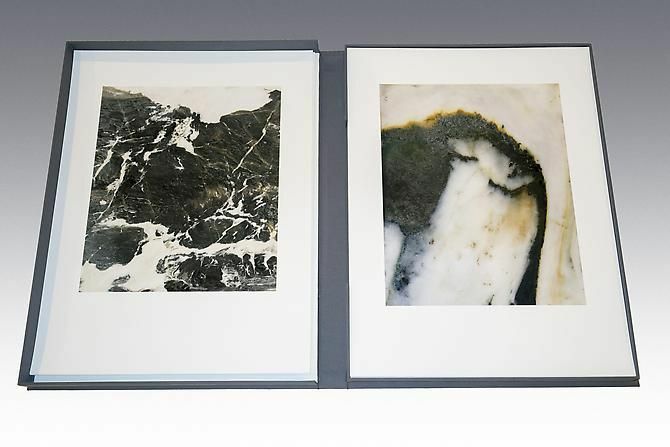 These marble compositions emerge in delicate greys and blacks, analogous to Vital's monochrome palette. 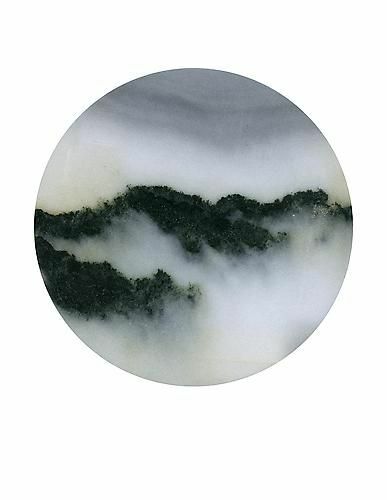 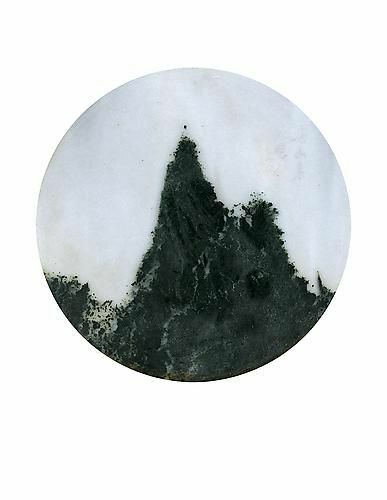 The monochromatic palette within the stone evokes memories and dreams, reflecting landscapes of Vital's past and present. 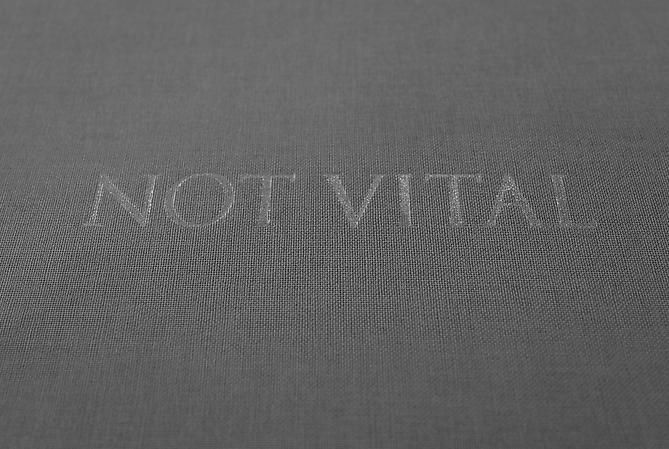 Not Vital (b. 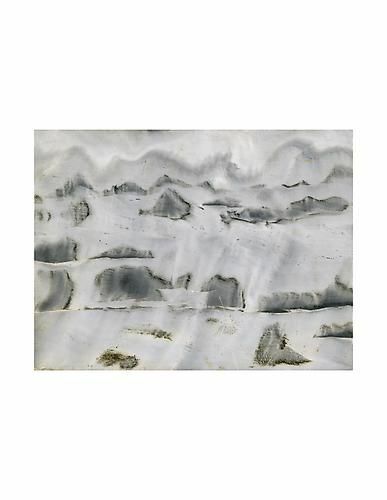 1948, Sent, Engadin, Switzerland) studied in Paris and Rome before moving to New York in 1974. 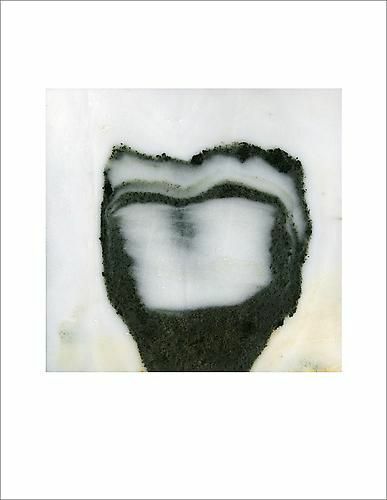 At present, he lives and works in Sent; Beijing; Agadez, Niger; and NotOna, Chile. 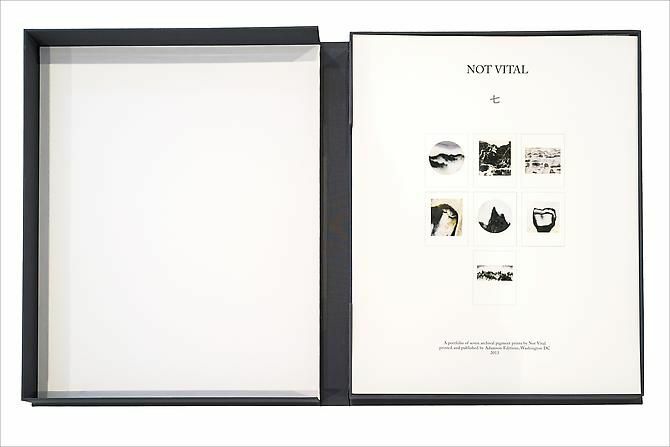 Vital's major recent solo exhibitions include Plateau of Humanity at the 49th Venice Biennale, Italy (2001); Not Vital: Agadez at Kunsthalle Bielefeld, Germany (2005); Not Vital at The Arts Club of Chicago, Illinois, (2006); Not Vital: Schlafendes Haus at KÖR Kunsthalle Wien public space Karlsplatz, Vienna, Austria (2009  2010); and Not Vital: Full On at the Ullens Center for Contemporary Art, Beijing, China (2011).